Studying abroad is one of the crucial decisions for a student! 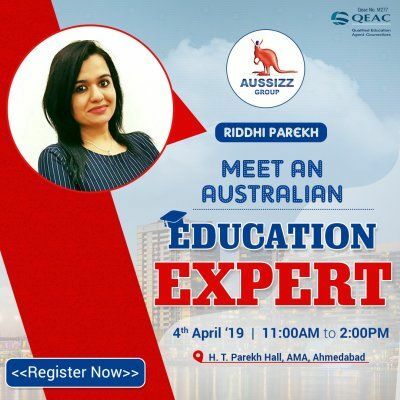 Let Aussizz help you invest in the right international education and shape your future!!! 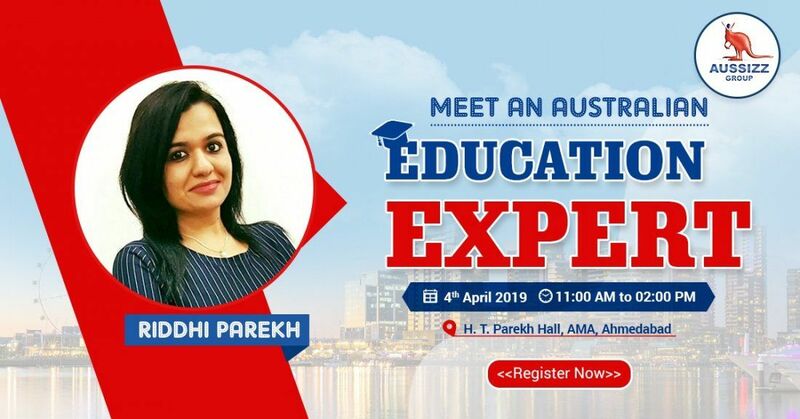 MEET our Australian Education Expert Ms. Riddhi Parekh at the biggest, one- of- kind Education event across India from 4th April to 12th April 2019. Top Highlights of the Event. Get your Academics and Financials assessed on the spot and avail instant university options – FREE OF COST! What is the Global scope of Australian universities and their course accreditations? HURRY! Registrations happening in Full swing.